Every single weekday morning, the MLSP leaders come out for our community with marketing, productivity, and mindset tips to take YOUR business to the next level. This week was no different. And we’ve got all the amazing content they dropped for you in one convenient spot! See it all below! 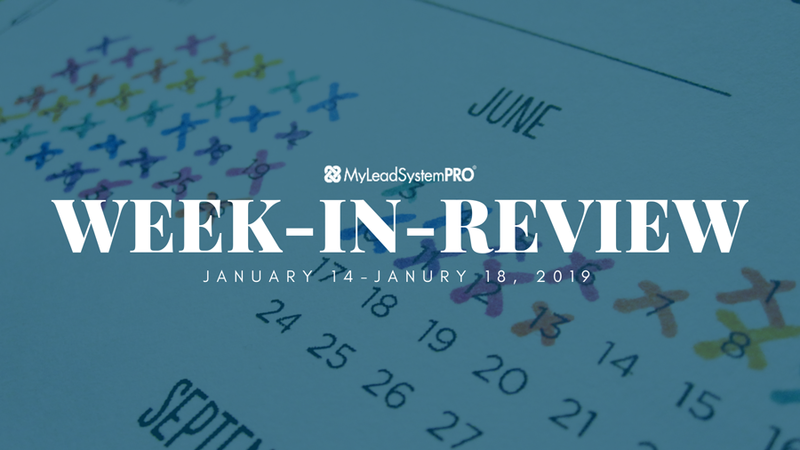 Check out all the valuable content the MLSP leaders dropped throughout the week! We live in a society that values options. “Keep your options open” is something we hear a ton. But is it the right way to go if you want to be happy and successful? The truth is sometimes much different than mass opinion. Antonio is a guy who is having huge success. He’s a master at using Facebook messenger to build a thriving online business, plus quickly amping up a business with Facebook ads. You’ll want to hear his take on whether or not you should be keeping YOUR options open. It might just change everything for you! How browsing Netflix can teach you a lesson on options and opportunity! Why the way society teaches us about keeping our options open is B.S. in Antonio’s opinion! Antonio hustled right over to the MLSP community and went LIVE from the MLSP Facebook Page to explore more about the question of whether or not YOU should be keeping your options open! What if you knew the “ONE thing” that will help you get the massive results you're looking for in your business? There’s no better place to get that one thing, than from a guy who struggled for a decade with his business, and then went on to breakthrough and figure it all out! Aron Parker is a force to be reckoned with. He’ll most certainly pump you up and get you ready to take on the world just like he has. Very few people have created more success stories in our community than his simple social media marketing trainings in the MLSP back-office. The many different “one things” that can cause your business to completely turn around! If you’ve never seen Aron Parker go LIVE… then this is your chance to witness something spectacular. This dude is always on 10 and ready to go! He’ll go over 10 things (any one could be the one thing for YOU) to get the results you’re after in YOUR business! Don’t let that three-letter word up there fool you. “God” can mean many different things to many different people. The question is, whatever you believe in…is it done with YOU yet? Or is there more? Were you put on this planet for a reason? MLSP CEO & co-founder Brian Fanale went over this exact subject on his powerful Wake Up Call from Wednesday. If you’re stuck wondering what life has in store for you still, this call can open your eyes to the possibilities that are waiting out there for you! How to separate yourself from your thoughts, and create a new way of life! What you need to know about money and fulfillment that only a six, seven, eight, or nine figure earner can tell you! Brian jumped over to the MLPS Facebook Page and hit the LIVE button on Wednesday to dig even deeper into this subject. Diane Hochman is known in the industry as the Queen of Attraction Marketing. She’s got a knack of bringing people to her, and having them stick around. Why do they stick around? Because she’s real. She’s straightforward, and she knows exactly what it takes to come out of struggle, and into YOUR glory. How to take advantage of external motivations (contests, prizes, challenges) to take it internal… and find the vision to carry you home! When will YOU sit down and decide you want to make YOUR mark?! What you must work on developing every single day so you can get through the struggles and the dark days! As always Diane is always ready to dive deeper for our community. She did exactly that Thursday when she went LIVE from the MLSP Facebook Page! Your business can be measured in many different ways. However to break down exactly what you need if you truly want to see success, Steven Rachel broke it down in an interesting way. Just like you would see on the nutritional facts of a food item, there are certain ingredients for success. And like any successful dish, if you miss one ingredient, things won’t turn out the way you want. What ingredients should success have? Listen below and Steven Rachel will reveal the perfect formula for all successful businesses! What the serving size and servings per container should say on YOR nutrition facts! All the things that you need to be at 100% of if you want any hope to succeed with your business! Steven Rachel loves nothing more than to give to the MLSP community, and the industry as a whole. He’s here for YOUR success, and that’s exactly what he proved on Friday’s Facebook LIVE broadcast! No Matter Where You’re At Now, You Can Start Taking Action Now! 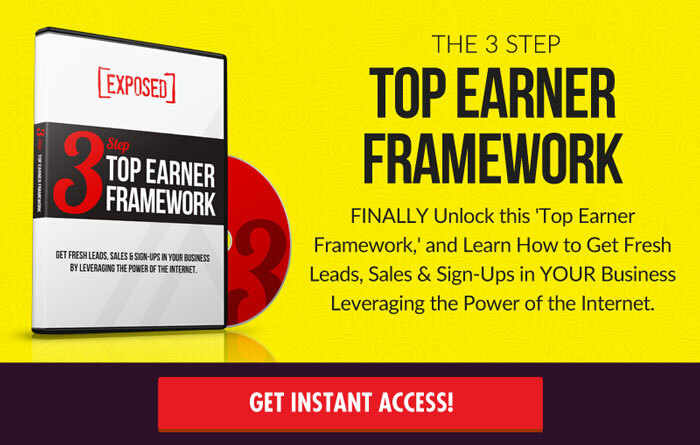 Everything you just heard above, comes from six-figure and multiple million dollar earners. They’ve just gave you literally thousands of dollars in free coaching. What will you do with that information? How will you use everything you’ve just heard and seen to completely change everything?